Critical Link’s MitySOM-335x Maker Transition Kit will be on display at the Texas Instruments Tech Day in Milwaukee, WI on March 30, 2017. Visit our table to learn more about the kit, and register to win one free. 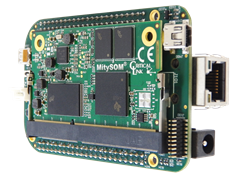 The MitySOM-335x Maker Transition Kit enables maker-pros to convert prototypes based on the BeagleBone Black with TI’s AM335x ARM processor to production-suitable designs leveraging Critical Link’s proven MitySOM-335x platform. The kit is designed to minimize changes when transitioning from the BeagleBone Black, and in many cases is a drop-in replacement. Interested developers can visit Critical Link’s engineering site to review design documentation and engage with our engineering team. 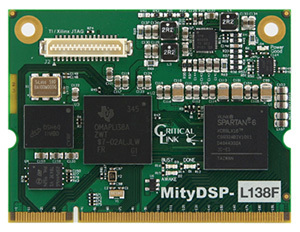 Critical Link will also be featuring an embedded vision demo using our MityDSP-L138F, a system on module based on TI’s OMAP-L138 with Spartan FPGA. Originally introduced in 2010, the MitySOM-L138F continues to be selected for new applications in unmanned systems, utilities management, networking & communication systems, factory automation, and test & measurement, among many others. Register for free today to attend this great event! Syracuse, N.Y.-based Critical Link (www.criticallink.com) is an embedded systems engineering firm offering customizable system-on-modules (SOMs) for industrial, medical, scientific, and defense applications. Critical Link’s end-to-end product engineering services include design, development, and production. Critical Link is a Platinum Member of the Texas Instruments Design Network and is ISO 9001:2008 and ISO 14001 Registered by SRI Quality System Registrar.